Arlington National Cemetery, in Arlington, Virginia is a military cemetery in the United States, established during the American Civil War on the grounds of Arlington House, formerly the estate of the family of Robert E. Lee's wife Mary Anna (Custis) Lee, a descendant of Martha Washington. The cemetery is situated directly across the Potomac River from Washington, D.C. and near The Pentagon. It is served by the Arlington Cemetery station on the Blue Line of the Washington Metro system. More than 300,000 people are buried in an area of 624 acres (2.53 km2). Veterans and military casualties from every one of the nation's wars are interred in the cemetery, from the American Revolution through the military actions in Afghanistan and Iraq. Pre-Civil War dead were reinterred after 1900. Arlington shares with Mill Springs National Cemetery, the only other open cemetery in the system, the distinction of being the oldest military burial ground in the United States. 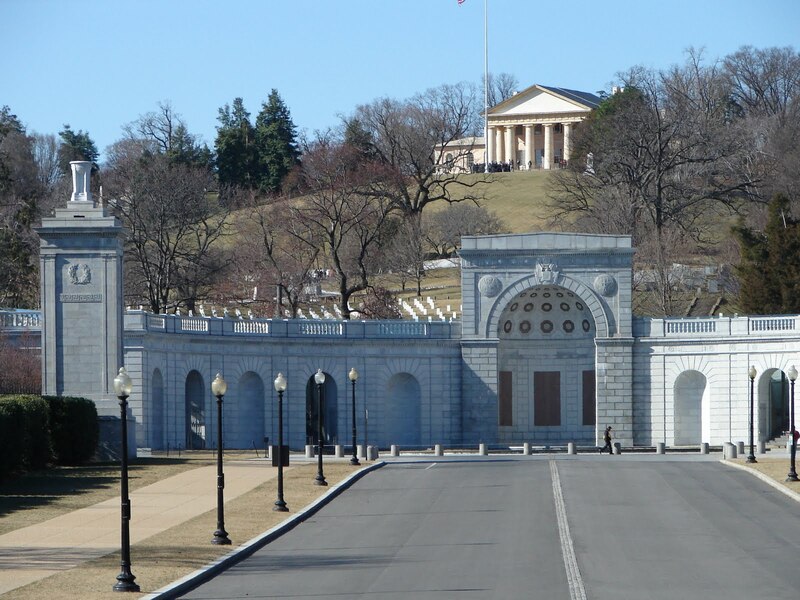 The Arlington National Cemetery website contains specific information about the history of the cemetery as well as in-depth visitor information. Located Sec. 1 Site 959-E.
USMC, Medical Corps Located Section 1, Site 958. Located Section 7 Site 10059-S.